Bow Wow has been in and out of relationships lately and also caught in a lie here and there, but he added something new to his resume while hanging in the ATL. The rapper was arrested along with ex-girlfriend which is unclear who was the aggressor but what is clear is the two had a cat fight. The police were called around 4:15am Saturday morning responding to the noise of the fight, but they both had minor injuries. 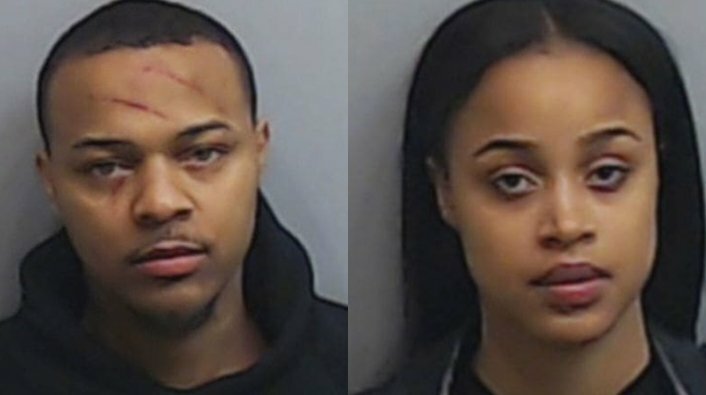 Both Bow Wow and Kiyomi Leslie were arrested Bow Wow posted bail for $8k and was out in no time, but she did a number on the rapper that is very visible.